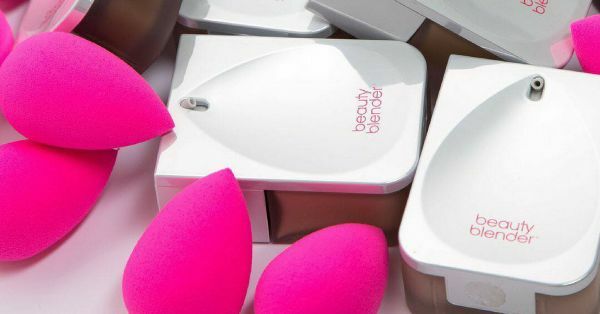 #NewLaunchAlert: Your Beauty Blender Can Now Be Used To BLEND It's Own Foundation! Calling all makeup junkies and beauty lovers! Your favourite foundation sponge brand, aka BeautyBlender just dropped a new launch. The brand has been teasing us on their social media handles for a while now creating a buzz about this new blender bestie! Tempted to know what the new launch is? It's about to go hand-in-hand with your BeautyBlender and make your blending EVEN easier. Drumroll, please? The iconic BeautyBlender finally has a foundation to go along with it. They're calling it the Bounce Liquid Whip Long Wear Foundation. It will be available in 32 shades and features a light texture that dries into a velveteen matte finish along with 24-hour wear! But that's not even half of what's gotten us bouncing our blenders with joy. Since the launch of the innovative, revolutionary beauty blender, we've seen nothing less but innovation from the brand. The new foundation is exactly just as path-breaking as everything else the brand launches. Like avocados and toast, the new foundation bottle features a built-in BeautyBlender (egg) shaped palette that can be used to mix your foundation with a highlighter, facial oil or any other mixing medium you choose. This means no more foundation on your wrists and other unfortunate surfaces of your makeup counter! Stay tuned the foundation drops on BeautyBlender's official website tomorrow, 24th of July, 2018 and will retail for USD 40 (Rs 2,700). Makeup lovers, even if the foundation doesn't meet your fancy, the unique packaging definitely will earn its space on your countertop alongside the pink sponge!